Let me animate your party by sketching your guests in a way that will amuse but not offend. 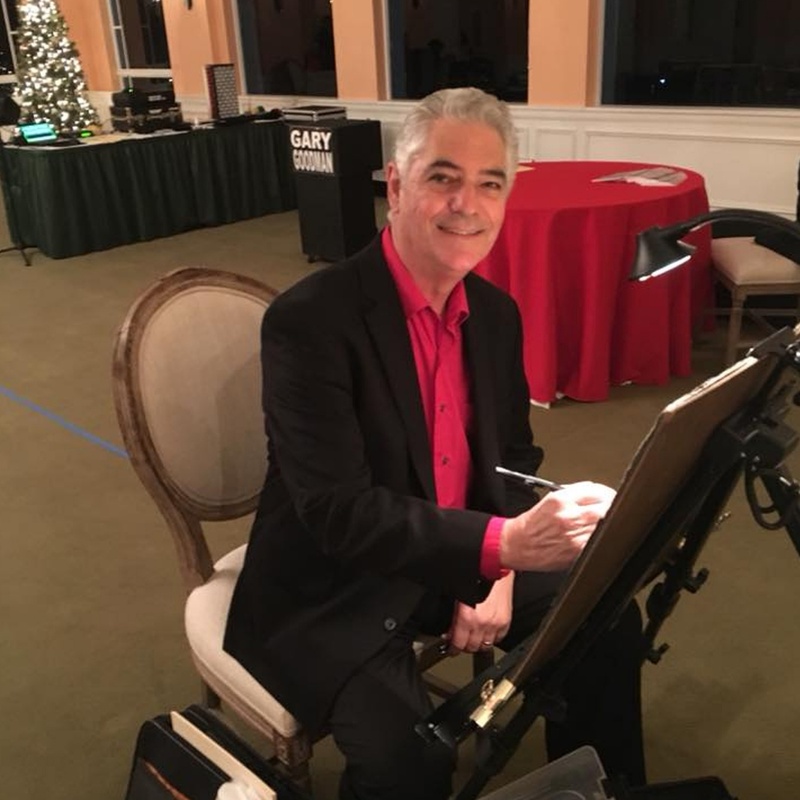 These spontaneous live caricatures provide entertainment as well as a take home gift of lasting value--before framing them as a treasured keepsake, many people scan them into their computer/smart phone from which they are emailed or used in variety of creative ways. The caricatures can not only be done the traditional way (with markers on quality art paper) but also digitally ( go to my digital art page for more info ) Note: For large functions I can provide any number of additional artists. The video below shows me performing a quick caricature at a Birthday Party.